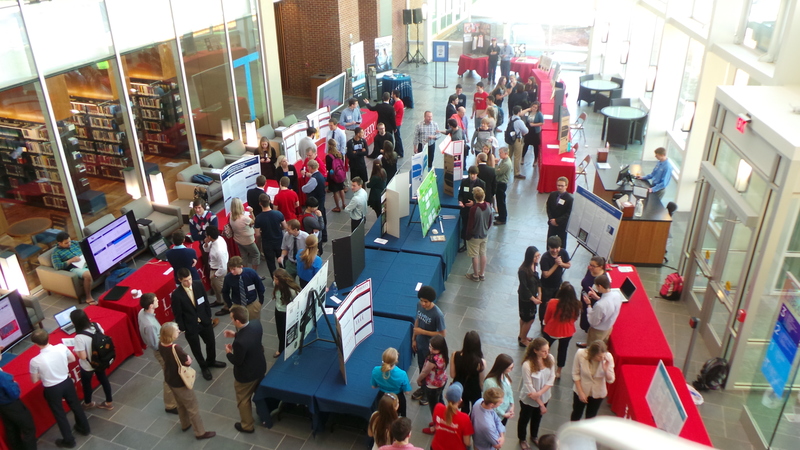 The Undergraduate Research Symposia provides Liberty undergraduate students from all programs the opportunity to present their research to faculty, peers, and other attenders. The 2016 Symposium will be held from 3/29/2016 through 3/31/2016 and is open to residential and online students. For more information on dates and deadlines, click here. There are five categories in which both online and residential presentations will be judged. These are determined in large part on the basis of the research methodology utilized by the presenter. Experimental – Basic: Research in this area seeks to understand a fundamental question regarding the nature of one’s field of study (e.g., human behavior or genetic manipulations of E coli). These studies address or expand upon theoretical issues and aim to improve prediction and/or understanding of a phenomenon. Typically, these studies will employ the experimental method and are often conducted in a controlled, laboratory environment. Here is one example of this type of research. Experimental – Applied: Applied research studies aim to better understand or solve real world problems. They employ theory and previous empirical research to frame questions that have practical implications. These studies often utilize quasi-experimental, correlational, qualitative, or case study research designs. Here is one example of this type of research. Experimental – Theoretical: Theoretical research expands on a synthesis of current guiding theories and the extant empirical literature in order to develop new theoretical frameworks. These approaches may utilize qualitative research methods (e.g., grounded theory) or provide a critical analysis that employs divergent thinking skills at the conclusion of a thorough literature review. Suggestions for future areas of research related to theory-testing the proposed framework should be included. Here is one example of this type of research. Textual: Research that is conducted without changing any variables. Typically this research critically engages texts, artifacts, or documents to prove a thesis, association, relationship, or previously unobserved significance. Sample fields may include History, Philosophy, English, Biblical Studies, Humanities, Theology, Journalism, Law, and Government. Here is one example of this type of research. Creative and Artistic: Research that emphasizes innovative, reflective, or expressive media usually produced for a public audience. Researchers work systematically to create new forms of articulation and expression. Sample fields may include Digital Arts, Worship, Music, Cinematic Arts, FACS, Theater, and Communications. Here is one example of this type of research. Physical Poster Presentation (Residential Students) : Residential students should submit a proposal using this template. Moreover, the final form of print posters presentations must conform to these guidelines. The posters themselves must utilize this template. The poster must utilize the branding and information found in the template header as well as the background color found on the template, but the organization of the poster's content may vary. Digital Poster Presentation (Online Students) : Digital poster proposals should follow this template. It should be noted that, upon acceptance into the symposium, digital poster presenters must be willing to create their poster using a free online application/tool and must be able to record an audio explanation of their poster to be included with their presentation. Instructions for creating a digital poster can be found here. This poster template must be used to create the content of the digital posters. Oral Presentation (Residential Students) : Residential students should submit a proposal using this template. PowerPoint presentations must be created using this background slide. Remote Oral Presentation (Online Students) : Online students who wish to present their oral presentation remotely will need to submit a proposal using this template. In addition, it should be noted that remote presenters must have access to these technological requirements. PowerPoint presentations must be created using this background slide. Create an account if you do not already have one. Then, include all of the required data in the fields that appear. Please note that you will need to include the name and contact of a faculty mentor who will affirm that your research is worthy of being considered for inclusion into the symposium. Upload your proposal from your computer and click on “Submit” at the bottom of the page. Please be sure that your proposal represents your research well as it will play a part in framing your presentation for the judges, if it is accepted. The organizers of the symposium will contact you to inform you whether or not you have been accepted. You will be notified no later than March 11, 2016. If you are accepted to present at the Undergraduate Research Symposium, you are invited to submit a copy of your research in article form to Montview: Liberty University Journal of Undergraduate Research. Please visit the journal webpage for more information. If you have any questions concerning the submission process, please contact scholarlycommunication@liberty.edu.